Because the first humans settled themselves around what is now known as the Lyrian Gulf, Kingsport is likely to be the oldest human city in the Verdant Kingdoms. It is also the oldest trading port and the seat of the oldest monarchy. As with all ancient things in modern day Lyria, Kingsport has a lot of features that its inhabitants take for granted, but whose existence can currently not be explained. Some of the masonry of the palace, the canalisation of the river, the walls, gates and bastions, the subterranean waterways; few of it could be reproduced with modern means. The levels of magic involved in their creation makes their reproduction virtually impossible. The masonry of the castle, the city’s ramparts, streets, bridges, canals and most masonry buildings are built using Northshire limestone, a honey coloured stone, sprinkled evenly with colourful calcium deposits. It has resulted in a very distinct and harmonious appearance throughout the city. The smaller buildings are mostly half-timber framed buildings, with brick or wattle and daub infills, covered with a light plaster for a stark contrast against the dark timber. These buildings used to be covered with thatch, until the great fire of 1054, after which clay roof tiles became more popular. While it’s not the largest city in the Verdant Kingdoms, it’s the largest city in Lyria. It has an estimated population of well over three hundred thousand people residing inside the city walls, while another hundred thousand are estimated to live in close proximity to the city. Its population tends to swell during the winter, as food scarcity drives people towards the city from the countryside, as well as during times of war, rebellion or uncertainty. All of this makes it one of the most densely populated cities in the Verdant Kingdoms, which is why priests of Pholtus have urged the Steward to maintain the ancient waterways underneath the city, in order to have access to clean water from the river, and to prevent outbreaks of infectious diseases. Below is an overview of some of the landmarks and points of interest in Kingsport. The city is cut in two by the river Lyn, which enters the city from the north-west, and makes its way to the Kingsport Bay, which is part of the the Lyrian Gulf, in the south. The flow of the river was controlled by canalisation long ago. Intricate masonry, starting just outside of the city walls, has helped to keep the river from meandering, allowing for buildings and streets to be built right up until the river’s edge without worry. Inside the city, the height of the river’s water sits significantly below the embankment. This is done to accommodate changing water levels and easy boarding of boats. The average flow of the river is not very high, which makes swimming across, or taking a boat up-river a possibility. Higher flows occasionally occur during periods of heavy runoff. The river also provides the city with a source of fresh water, opportunities for fishing, and a mechanism to keep the underground waterways from stagnating. Both embankments of the river are enthusiastically used for all manner of purpose and as a result, it’s usually the busiest part of the city. There are three bridges that cross the fifty meters of the river, from east to west; Knightsbridge, Queensbridge, and Lynbridge. Queensbridge is the widest of the three bridges, allowing for a procession to pass from the Silver Square directly across the river and up toward the palace. The other two bridges can easily accommodate two wide carts passing each other without a problem. Each bridge is about fifty meters from end to end, but in some places the river is less wide, due water-level walkways and embankments created for smaller riverboats. In the winter the Lyn tends to freeze over but the people of Kingsport break the ice to keep access to the fresh water and to allow for transportation to continue. Kingsport has evolved in different wards, all divided either by the river Lyn or the different large roads. Scholars from the Bournemouth Academy have concluded that the oldest remnants of the city can be found on top of Garamond Hill, the current location of the palace. The city expanded towards the river and later across the river, building ever eastward. 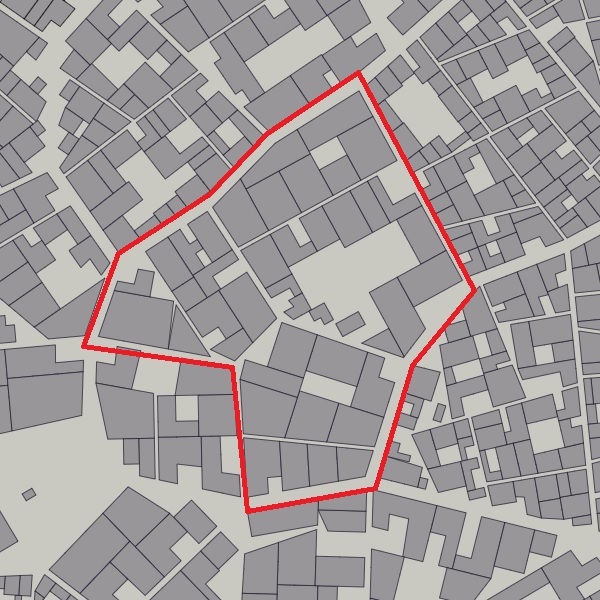 A ward is usually divisible in smaller districts. Most of the time the feel or purpose of a ward doesn’t change from one of it’s districts to another, but sometimes distinctly different districts are grouped together to form one ward. Each ward is represented by an elected alderman who represents the interests of their wards in front of the steward of Kingsport. All of the aldermen together form the Council of Aldermen. Unsurprisingly, many of the aldermen are accused of nepotism and corruption and there are constant feuds between different aldermen as they jockey for more power and influence. Because aldermen are elected the majority of them are commoners, and it is likely one of the highest positions a commoner can reach in Lyria without being uplifted into nobility. 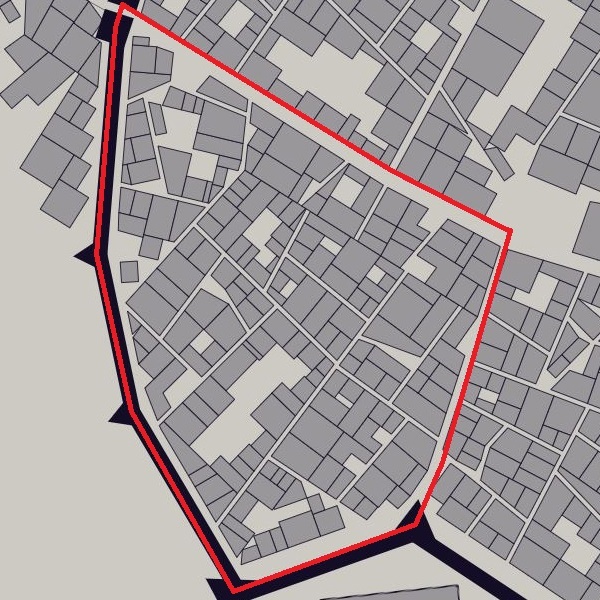 Kingsport is surrounded by a thick city wall, about ten meters in width, reinforced at strategic places with fortified bastions and gates. The inside of the walls have narrow passages running along them, allowing troops to make their way from one bastion to another. Each gate consists of two bastions and a double portcullis. The only exception is the River Gate, which doesn’t feature a portcullis, but instead has large, grated doors which can be closed from inside each bastion on either side of the river. Each bastion is a large, tower connecting two ends of the wall. Each bastion differs in look and dimensions, most are diamond shaped, but some are round. They are all constructed in such a way that they stick out from the wall in a way to leave no blind spots, and each of them have thick parapets to hide behind. Each bastion also has a large fire in the middle which gets ignited at dusk and burns until dawn. The most noticeable is the most easterly bastion, called the Bastion of Illumination, which sits on the shores of the Lyrian Gulf and functions as a light house. The fire burning on its roof is brighter by several orders and can sometimes be seen from Blue Harbour. 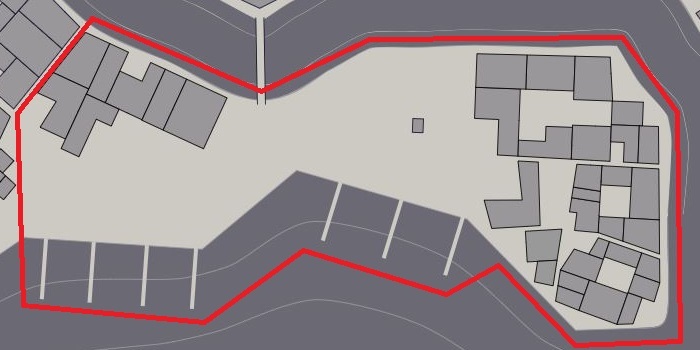 Together, the entire city’s defences are referred to as the Kingsport Ramparts. Below are a list of the bastions and gates that make up the ramparts, starting at the palace, but not counting the bastions around the palace itself. There are several bastions outside of the city, along the major roads which are garrisoned by crownsguard. These bastions are equipped with a rooftop bonfire which can be seen from the city’s ramparts and each have their own rookery which can send reports back to Kingsport. At the very top of Garamond Hill lies the royal palace. It is simultaneously a bustling place, with servants, diplomats and nobility coming and going, as well as a secluded place, when compared to the rest of Kingsport. The castle isn’t open unless you can produce a letter of pedigree, you have an official invitation, or it is one of the few days a year where the royal family opens up the castle grounds to the public. The current dynastic family, house Valois, is extensive and many of them stay at the palace when in the capital. Besides a lot of smaller buildings, the palace exists of two large, sprawling structures; the manor and the dépendance. The royal manor overlooks the terrace, a sprawling, immaculately kept park, filled with ponds, marble statues, rose gardens and the like. It also has a prominent shrine to Chauntea. The entire space is meant to impress any visitor who makes it from the gate to the manor’s entrance. The terrace is where official ceremonies and celebrations are held, but the royal family is rarely seen there. The manor’s facade consists of a rusticated limestone base from which rise impossibly tall, white granite columns, framing the windows of the three main floors. The top floor is hidden by a decorated cornice, which encircles the manor and is capped with a large balustrade, richly adorned with statues of kings, queens and saints of Paladine. It gives the sprawling manor an almost fairy tale beauty. The inside of the manor is the subject of much speculation by the peasantry, and it said to be richly adorned. It is said to have 342 rooms, not counting any of the multitude of cellars. The dépendance is a much simpler looking building, designed specifically for that purpose. A much plainer facade overlooking the terrace, but made from the same limestone masonry as the palace. It houses the servants, the barracks, the armoury the stables, most of the stores and larders. Between the manor and the dépendance sit the water gardens, a secluded and private garden, designed by renowned Arroyan architect Francesca Sabatini, where the queen is rumoured to spend time on hot days. The peace keepers in Kingsport are the crownsguard, a force of roughly two thousand trained militia men and women who regularly patrol the streets, man the gates, walk the ramparts, garrison the forward bastions, support the harbour master and accompany tax collectors. They are uniformed in half plate armour, adorned with the engravings of the three Valois lilies on their breast plate, angels on their pauldrons and crimson cloaks. The lady commander of the guard is Dame Miranda Ravensbourne, youngest sister to Lady Olivia Ravensbourne, first of her name, head of House Ravensbourne. She is a Lyrian knight, formerly of the Order of the Gryphon, zealous follower of Paladine and completely dedicated to the monarchy. She can often be seen patrolling the skies on her griffon Frostfeather. An elite group of 250 veteran crownsguard guard the palace under the leadership of another Lyrian knight, formerly of the Order of the Shield. His name is lieutenant William of Eastwarren a handsome and charismatic folk hero who made a name for himself on the Plains of Strife when a large host of orcs descended down the valley. A city the size of Kingsport attracts all manner of opportunists, thieves and crooks. There are several active gangs, the largest of which is The Steady Hand, who specialises in bribery, theft, smuggling, extortion and prostitution. It considers itself a proper guild in which apprentices are taken in to learn the trade of racketeering. They have a very large network of connected people, like pickpockets, beggars, prostitutes and smugglers, which makes them very well connected with what is happening in and around Kingsport at all time. It is rumoured that there are two competing factions within the guild. The Daymaster runs all the business between dawn and dusk, while the Nightmaster takes over for all operations that take place from dusk until dawn. Another rumour is that they have been able to map the ancient waterways underneath the city and use it to get around. While the Steady Hand is the largest underworld organisation in Kingsport, the Sunken Knuckles – Knuckles or Knuckleheads, for short – are the most violent. They run a protection rackets, fighting rings and gambling dens, and they are known be violent when it comes to collecting their coin. They are often employed to intimidate, harm and sometimes murder people. A large group of Szygani stay just outside of Kingsport in a camp of wagons, which they call vardo. They are musicians, beggars, pickpockets and fortune tellers. The Ravnos is a family within this group of Szygani who are rumoured to be bandits and thieves. They supposedly use curses and magic in order to steal from people and caravans. They are also well-known herbalists who trade in all manor of rare and illicit substances like Fadeleaf, Blindweed and the incredibly toxic Purple Lotus or Nightmare Vine. Fadeleaf is a popular herb among the peasantry for its intoxicating effect, but it’s illegal in Kingsport, and most of the lands of the nobility because it makes people dim-witted and unconcerned with work. It is rumoured that a powerful noble house is using a loosely connected group of people within Kingsport to manipulate markets and gain financial influence. They are referred to as the penumbra, because of the cross over between what is supposed to be the side of light and the side of dark. Oftentimes people operate in the interests of the penumbra and the house which is pulling the strings without knowing it. The crownsguard have been working for years to find out who the puppet-masters behind the penumbra are, but have yet to find any conclusive evidence pointing to one particular house. They started to suspect that occasionally the group does things that is to the detriment of the guilty noble house in order to deflect suspicion. A predominantly non-human group of burglars and brigands the Procyon are known to operate in Kingsport mostly due to its harbour. The majority is elven, but they have offered membership to dwarves, half-elves, halflings and sometimes humans. Politically, they believe that humans have become too dominant in the Verdant Kingdoms and as a result they are radically anti-nobility, because they have come to believe that to be the source of true human dominance. A special character in the Kingsport underworld is the person they call The Guv’nor, a title reserved for the champion bare knuckle boxer. With the title of Guv’nor comes the deed to The Hoxton, a Lewisham tavern which is considered neutral ground by the gangs operating in Kingsport. The current Guv’nor is a popular and lovable man by the name of Lenny who has held the title for over a decade now. He is a legend in Kingsport and an easy to approach man who is always willing to listen to your problems and see if he can facilitate a solution. Underneath the streets of Kingsport lies an array of tunnels that function as aqueducts and sewers. Their extent is such that they have never been fully mapped and explored. For most people in Kingsport they’re presence is so axiomatic that they hardly ever think of them. The crownsguard, however, worry about them extensively, due to some of the tunnels running so far and so deep that it forms a gap in the defence of the city. They have explored some of them and barred them off with heavy iron gates, hoping that to be enough to keep possible invaders out. Many of the estates inside the city use the waterways to provide them with fresh water. Even some of the estates outside of the city walls have dug wells that tap into the aqueducts, something that the crownsguard is very concerned about. The easiest ways to access the waterways is along the embankment of the river. Half a dozen entrances are built into the lower landings along the embankment walls. They are gated and locked and the crownsguard keeps a close eye on them. Otherwise, there are several hundred metal, grated manhole covers found throughout the streets of the city, all designed to carry rain water into the waterways. Who built the waterways, and why they are so incredibly extensive has been lost to time. There are rumours that some of the tunnels lead to fantastic, submerged estates which used to be above ground. Several scholars and engineers from Bournemouth Academy spend time studying the waterways and each year new techniques and engineering principles are gleaned from them. All along the southern coast of Kingsport, between Garamond Hill and Quayhill, there are quays, wharfs, piers and anchorages designed to facilitate the embarking and disembarking of passengers and the loading and unloading of good from and onto ships and riverboats. Harbour fees are steep and as a results few boats and ships remain in the harbour for long, preferring to quickly disembark what they came to deliver and take on board what they plan on returning. As a result, the bay in front of Kingsport is usually crowded with boats whose crews row ashore to make arrangements before they sail into the harbour and start paying harbour fees. Where there are plenty of dock hands available, but because each ship is on such a tight schedule it is not uncommon for ships to bribe dockworkers with extras in order for them to drop what they are doing for one ship and go and help another. This leads to friction between captains and sailors, which in turn leads to violence. The harbour master, Master Albert Coehoorn, is a veteran who grew up on the streets of The Salt and started working at the harbour as a dockworker at an early age. He knows everyone who works at the dock and has a great working relationship with most captains who frequent Kingsport. He also knows his way around a knife fight, should his experience prevent him from talking two rivalling groups from violence. There is a group of fifty crownsguard permanently garrisoned at the docks in order to support Master Albert in his task of maintaining the peace. He hand picked the fifty crownsguard, and it came as no surprise that most of them are lifelong Salters. Shops, Taverns, Crafters, Temples, etc. Here are several points of interests in Kingsport. Places of worship, shops, crafters, taverns, etc. They are arranged in no particular order. 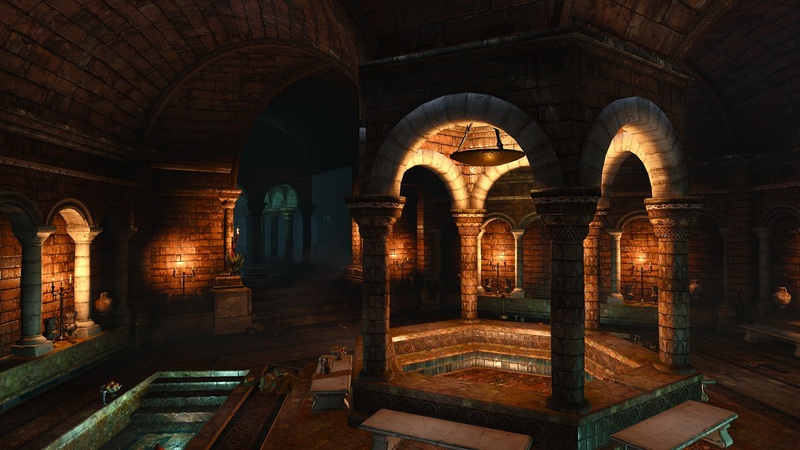 In the western most district of Southside, in sight of the river gate the priests of Sedna run a public bath house. It is run by an elderly priestess by the name of Dagmær of Hammerstrand together with half a dozen devotees. The entrance can be found by going down a stone staircase on the southern end of Knightsbridge to the lower bank along the river. A doorway, set inside the river wall, allows access to the bathhouse, which sports cold and warm pools, as well as a sauna. Sailors, river folk and coastal people often visit the baths. 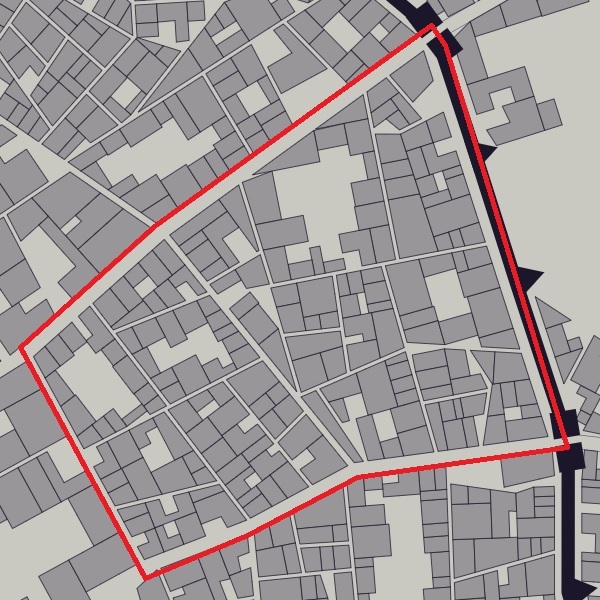 There are separate male and female areas, despite Dagmær’s protests to the ward’s alderman. There are several rookeries throughout Kingsport and they are all private, with the exception of the rookery run by Toruviel Fast Feathers, an elf resident of Quayhill. He and his wife, lady Orianna of House Waxley, own a small manse and run a successful aviary there. They have ravens that they can send to most of the major locations around Lyria and even have some birds that are trained to fly to places in neighbouring kingdoms. 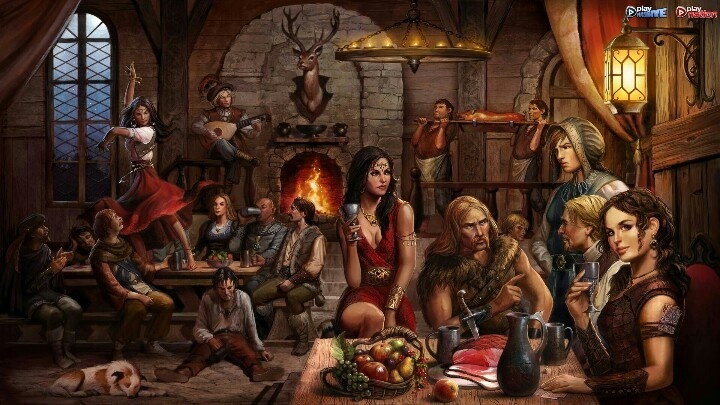 This tavern can be found in The Lace, a district in the Northside ward which is known for its brothels and prostitution. The Silver Cross is probably the largest and most well-known house of ill repute, and caters to all comers, as long as the requests stay within the boundaries that madam Valerie Brécourt has set. The first floor of the tavern is run by Samuel Alito, a stout and swarthy Càrcerian. The upstairs is run by Jeanne White, a long time Kingsport resident who originally hails from Silesia. The most famous of all Kingsport taverns, the Hoxton sits at the heart of Lewisham and is run by The Guv’nor. The Guv’nor is the title given to that year’s bare knuckle boxing champion. Besides the title, the winner also gets the deed to The Hoxton. Currently, the Guv’nor is a man named Lenny, a legendary boxer in Kingsport. Every year he puts his title and the deed to the Hoxton on the line but he has managed to retain the title for over a decade. The Raven Queen is the goddess of fate, destiny and death. Despite her ghastly portfolio the residents of Kingsport have a comfortable relationship with the clergy because of the grief counselling and funeral services they provide, even to the poorest of families, free of charge. The large, dark building dedicated to the Raven Queen sits upon the river in the ward of Steward Square. Acolytes of the Raven Queen have taken a vow of silence giving the entire place an even more solemn atmosphere. Priests, who regain their voices after they are anointed and reborn in the service to the Raven Queen, are available for counselling and funeral services day and night. The head of the clergy is a man by the name of cardinal James Roark. 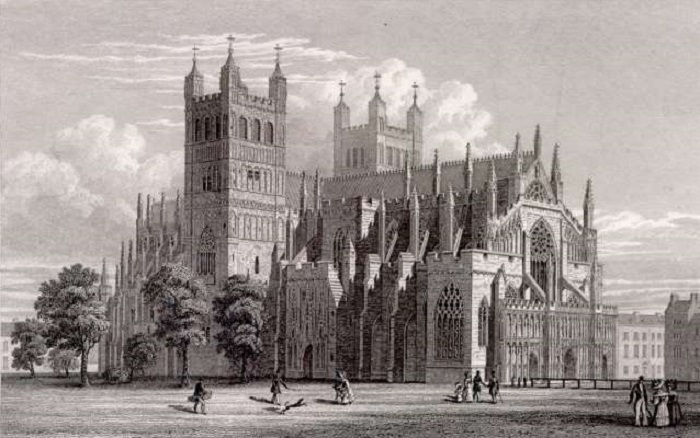 Right on Steward Square sits the enormous cathedral dedicated to the worship of Paladine. It’s open to the public for worship and usually quite busy, no matter the time of day. The leader of the congregation is high bishop Aldred Grey, younger brother to Lord Edgard Grey, the head of House Grey of Ashenvale. It is the largest congregation in Kingsport, as well as Lyria, and it regularly gets large donations. As a result, the building is magnificent and awe inspiring, with bright silver threaded flags billowing from each the corners of its two towers and the tips of the flying buttresses. Its interior is equally awe-inspiring, with its high, vaulted ceilings, stained glass windows, and intricately carved wooden doors and pews. Several dozen special chapels are available for worshipping specific saints. There is even a special section for those who worship Paladine in its draconic form of Bahamut, but it hasn’t been actively used for as long as anyone can remember. It’s more a curiosity than anything else. Right behind the enormous Cathedral of the Platinum Father stands the modest Temple of Light, the primary place of worship of Pholtus. It is also the foremost place to go in order to be treated for injury and illness. Mother Superior Arwyn runs the clinic, while High Priest Selwyn is the spiritual head of the congregation. The clinic and the temple are two separate buildings, with separate entrances, so as not to have the treatment of the sick interrupt the worship of the healthy. There are several selfless priests who tend to the spiritual and physical needs of both the congregation as well as the patients, but one stands out to anyone who has ever had to be tended to; Father Devon. While the wealthy and fortunate are able to call upon the services the temple at their homes or estates, the poor and dispossessed are required to come to the temple of aid. Father Devon has made it his duty to treat those who are unable to make it to the temple and don’t have the coin to pay for a visit. It has made him an immensely popular individual throughout large parts of Kingsport, especially Lewisham and The Lace, where he regularly tends to the lads and ladies of the night. Chauntea is the largest and most worshipped deity in Lyria, after Paladine. Even so, the temple in the Steward Square ward of Kingsport is modest, consisting of a building with a large open court in the middle in which a beautiful, lush garden has been planted. The priesthood dedicated to Chauntea prefer to dedicate their efforts and spread their word around the farming communities around Kingsport and throughout Northshire. The leader of the congregation is Mother Gwendolyn, a warm and nurturing woman in the twilight of her life. She is grooming a replacement, a younger woman by the name of Lilly of Fairfields, whose connection to the Earthmother is reported to be boundless. They often tend the gardens together and talk about fertility and nourishment. Women who are with child often sit nearby to learn about motherhood while their husbands lend a hand tending to the garden, simultaneously learning about how best to provide for their new families. Along the street of King Augustine in Eastminster, inside the fortified monastery devoted to Paladine, is the final resting place of Dame Catherine of Dunagore, Lyrian knight in the Order of the Shield and famously the woman who gave her life to save Sir William of Garamond at the Battle for Blue Harbour. Legend has it that she was the first chaplain of her order, and that she shielded the leader of the Silver Crusade with her body as it rained hellfire upon her and the troops around her. Paladine blessed her for her faith, heroism and sacrifice by letting her withstand enough of the damage to keep Sir William safe while all around her scores of knights roasted and boiled in their armours. Her charred bones have been laid to rest in the impressive chapel, and her soot-covered armour has been crafted in the lid of her tomb, not showing any signs of deterioration, despite the countless centuries. Pilgrims, devotees of Paladine and Lyrian knights come from all around to touch her plate armour, be witness to her sacrifice and pay their respects. A small fountain in Sevenoaks is dedicated to Tymora, Lady of Luck. Young couples coming to ask for her blessing before their wedding throw coins into the waters as an offering, or sailors come to make a similar offering before departing to a far-off land. Squires make offerings the night before a tournament in the hopes to gain sufficient glory so that they will be knighted, and soldiers pray there before departing for the Plains of Strife. The shrine is maintained by the people of Sevenoaks, but there is no official care-taker. They find that nobody dares to defile the shrine or steal the offerings made to the Lady of Luck. In the ward of Ravensbourne, right next to the Daerlan embassy, stands a modest Church of Deus, the monotheist god who represents the just, righteous and everything good and who stands in opposition of Asmodeus, who represents the wicked, vile and everything evil. The church is lead by His Excellency, bishop Menno Haanstra. Very few people attend the church. The people who do attend mass are almost exclusively Daerlanian. Occasionally a Lyrian will wander in to check it out, but they rarely stay. The only reason for its existence is its proximity to the Daerlan embassy, and it has been suggested that the presence of the church is a form of cultural encroachment that should be forbidden. In order not to strain relations, the church is allowed to practice and all are welcome, but many believe that this might change as soon as Lyro-Daerlan diplomatic relationships worsen. The is no real place of worship for the followers of Ioun in Kingsport. The closest temple is in Bournemouth. According to Lord Caedmon, head of House Bromley, this is an affront to Kingsport’s status as the capital and has opened up his private library at his estate in Ravensbourne every last day of the ride for worship. The proximity of the Circle of Mages has meant that this service is heavily attended by the mages and apprentices that study there. It is a relatively informal gathering, and in recent years Lord Caedmon has been corresponding with the Iounic order in Bournemouth to get an anointed priest of their order to lead the congregation. Until then Lord Caedmon himself, with the aid of his librarian, lead the services and read from Iounic texts. One of the few estates in Ravensbourne belongs to the prestigious Circle of Mages. Dedicated to raising the next generation of arcanists and trying to hold onto as much of the waning understanding of magic, and nurturing those with the talents to reclaim some of Mystra’s lost knowledge. While they do provide programs for sorcerers and warlocks, their primary interest is in creating wizards through fastidious, rigorous study and have found themselves ill equipped to facilitate the development of sorcerers and warlocks. They have even tried developing mystics, witches and other such “blunt instruments”, but with little success. The leadership of the Circle consists of the highest ranking members of each specialisation (Abjuration, Conjuration, Evocation, etc.). They are referred to as the Archmages of the Circle, they represent their school of magic and are the very pinnacle of the understanding of that school’s magic. The head of the circle is the ninth and last member, who represents the overall arcane discipline and is referred to as the Grand Archmage of the Circle. The long time Grand Archmage is Réonan. Réonan has been at the Circle for so long that nobody quite remembers when they arrived. I say they, because it’s currently unclear whether Réonan is male or female. Some say they’re neither. Some also claim that Réonan is not human. They hardly make public appearances, preferring to work through assistants and apprentices, but managing to keep tight control over the school nonetheless. Another important figure at the Circle is a mage by the name of Olafur, who hails from the far of kingdom of Miðgarður. He functions as the quartermaster, and as a result is always interested in buying rare herbs and strange substances like teeth, scales, eyes and other parts of rare animals. In the north-eastern part of Sevenoaks is the home of the College of Bards, run by the legendary bard Le Papillon himself. Le Papillon, real name Adrien de Rouleau, is a Beauclairois musician, poet and playwright who impressed and moved Queen Isabella so deeply that he became the court minstrel for years, before opening up a school in Sevenoaks. The price of admission is steep, but the curriculum and the teachers are sanségal. With Le Pappillon as headmaster at the college, it has become a destination for aspiring singers, poets, minstrels, playwrights and mummers of all backgrounds, walks of life and ethnicity. When city officials tried to prevent Càrcerians from taking up residence at the college dormitories, citing the rules that they could only be housed in La Costa Verde, Le Papillon took the matter up with Queen Isabella herself. He claimed that it would interfere too much with their education. They would waste valuable time walking to and from La Costa Verde, and what if inspiration struck them in the middle of the night!? Would they have to go out in the pitch dark to reach the college!? Outrageous! The college regularly has rehearsals at the stage set up in their courtyard which is open for all, where young, up and coming performance test their new material. Their quality is “unpredictable” so usually only a handful of people show up. Once per ride, however, a full performance is organised, which charges a five pennies entry fee for standing room, one silver stag for a seat and five silver stags for the balcony, and a gold crown for the center balcony. For two platinum dragons the entire théâtre can be reserved for a private viewing. The most important armoursmith in Southside is Dagran Forgewright, a mountain dwarf and member of Clan Thoradun. His shop is set on the corner of the river and the Street of Steel. 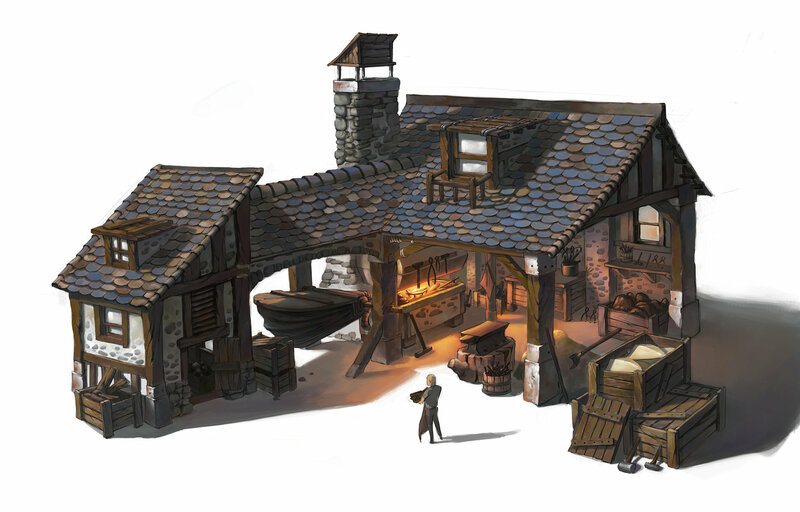 His forge sits behind his shop, on a courtyard he shares with several other craftsmen. He is considered a wellspring of knowledge and experience by the rest of the Street of Steel and while the rest of the crafters compete with him in terms of business, he has proven to be a generous father figure to anyone willing to learn. Dagran specialises in beautifully crafted metal armours but has a good working relationship with Lyandra Wildrunner, a leatherworker just outside of Kingsport who specialises in leather, scale and hide armours. While Dagran’s presence in Southside is a welcome one, and people are always fond of seeing his steel-grey beard and soot covered bald head walk down the Street of Steel, there is some controversy that surrounds him. When he first arrived in Kingsport, three decades ago, he requested an audience with the Steward to request special permission to set up business in Kingsport and function as a informal ambassador to the dwarves of Ard Thoradun. He was eagerly welcomed with open arms. His only demand was that he could keep a bonded servant; a young orc by the name of Kargath of the Stormwolves clan. Years before, when returning home from a trading expedition to White Fork, his caravan was set upon by a raiding party of orcs. The orcs had underestimated the dwarves and they were defeated. When it came time to kill the defeated orcs, Dagran decided to spared a young orc’s life and nurse him back to health. Unable to return to Ard Thoradun, he was allowed to leave his ancestral home without forsaking his clan allegiance. Over the years he trained Kargath in smithing techniques and developed him into an outstanding weaponsmith. When the Steward of Kingsport was presented with the conundrum of either turning away such a valuable member of the Thoradun clan, or accepting him on the grounds that he bring his orc apprentice into the city, he chose to let Dagran stay with the caveat that he become personally responsible for the orc and anything that happens as a result of his stay in Kingsport. Just outside of the Brown gate lies an area where trappers, tanners and leatherworkers have congregated with a cattle market close by. It’s here that Lyandra Wildrunner, an elven woman from the Worthwilde has set up shop. She only crafts leather items upon commission, so that she does not have to maintain any valuable stock outside of the city walls, and only if the price and assignment is to her liking. A boiled leather breastplate, or a simple leather saddle, or an unremarkable pair of riding boots is not enough to tease her interest, but ask her to make an elaborately decorative, full leather armour and she will deliver the most amazing quality that coin can buy. Her shop consists of a half-open shed with all the required tools, and she knows almost all the leatherworkers, tanners, dyers, cattle farmers, hunters and trappers in the area, so if she can’t help you, she will likely know who can. 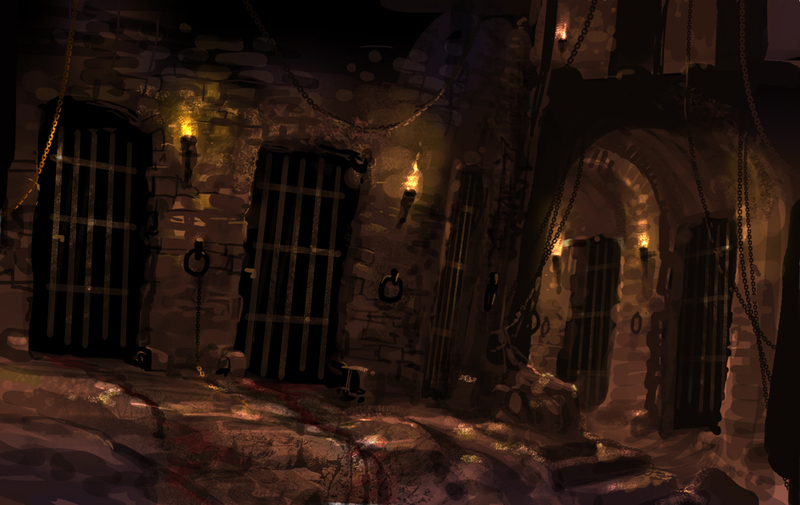 Deep beneath Steward Square lies the infamous Carceratum a place where Kingsport’s prisoners get locked away upon order of the magistrates or the Steward of Kingsport. Most people who get sentenced for small crimes either get lashed or are forced into temporary labour in the limestone quarries nearby the city. Those people who commit more serious crimes get sent to the Carceratum. Originally the Careratum was a part of the ancient waterways underneath Kingsport but has since been sectioned off and drained. It is said to have multiple levels, but it is hard to find anyone that, when pressed, seems to know just how many. What everyone can agree upon is that they are dark, wet and very unpleasant. And that the lower they bring you, the worse your time in the Carceratum is going to be. The lower levels are reserved for the worst criminals that Kingsport has seen. Claims of torture have always been denied by Dame Miranda Ravensbourne, who, as Lady Commander of the Crownsguard, is responsible for what happens in the Carceratum. For a start, she has managed to gain access to court in just a few short years after arriving in Kingsport, with little more than a cart filled with wine, a chest of personal belongings and a deed to the shop on the Street of Spice. She has managed to become friendly and associated with every ancient noble house in Kingsport, and she has become the exclusive vintner and sommelier of many of them. She has openly joked when addressing Queen Isabella that she will not rest before she exclusively stocks Her Majesty’s cellars. Just north of Wickenham Street in Sevenoaks, in an alley tucked between different book binders, scribes and pamphlet makers, lies a small shop called Adria’s Novel Idea, run by an elderly gentleman by the name of Calford. He’s a quiet man with great sadness behind his eyes. The shop is always gloomy, with little sunlight reaching its small windows. Great, intricately carved oak wooden bookshelves line the walls and are filled with dust covered books of different shapes and topics. Most of the floor space has been taken up by large stacks of books, giving the entire shop a maze-like quality. Some of them are leather bound, some of them are bound in wooden covers, some of them not bound at all. In the back there is a desk where old Calford sits. Unlike the shop, the desk is neat and clean. Atop the desk sits a lantern, a pot of ink and a quill and two stacks of parchments. One stack of parchments is empty, the other stack is filled with neat writing. Nobody who has visited the shop has ever caught him putting ink to parchment. Calford lives above the shop and only leaves the shop on occasion to attend the service at the Library of Ioun or to buy supplies. He can sometimes be found at the docks, picking up a shipment of new books. Other than that he can be found in his shop, sitting behind his desk. Outside of the Elysian Gate, just north east of the wall that borders Grimsdown sits a large thatch covered cottage that has a sign in front of the door reading “Herbs, Salves and Ointments”. On most days, you’ll find a cantankerous Kaedwyni man named Ecgbrith sitting on a stool outside of the hut nursing a strong alcoholic drink. He claims to have been schooled in the natural arts by the Aen Nord, a moon elf tribe in northern Kaedwyn, and that he has learned everything that the Dol Naev’de druids had to offer him. He knows about the healing and harming properties of all herbs and, when pressed, is familiar with many alchemical formulae. His cottage is filled with the scents of lavender, rosemary, silversage and whitecaps, and long, looping wreaths of grave moss and bristles of dreamfoil are hanging from the rafters. Baskets filled with ghost mushrooms and goldclover are usually drying in the sun, while the shadow side of his cottage is growing a steady supply of wildvine. The acolytes of the Temple of Light and the apprentices from the Circle of Mages often come to Ecgbrith for their supplies, but so do a large amount of cooks and chefs in Kingsport. The szygani have a strange relationship with the man; sometimes they can be seen yelling at one another, while at other times, shady figures come to his cottage at strange hours of the night. 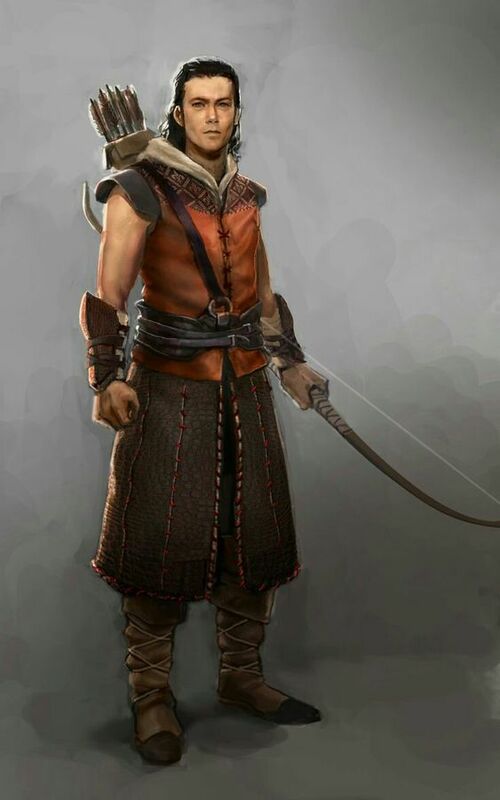 Garrick the Heartseeker was a marksman in the employ of House Grey when he was ordered to the Plains of Strife to fight against an ever encroaching force of Daerlan invaders. It turned out that the invaders were none other than the 8th Daerlan brigade; twelve hundred of Daerlan’s finest soldiers. When the Lyrian forces of House Grey and the 8th Daerlan brigade fell upon one another, the Lyrians were quickly put on their back foot. Their flank was being attacked by Daerlan arbalists, whose fire power quickly decimated the Lyrian lightly armoured pikemen. The Lyrian marksmen, under Garrick’s command, quickly taught the Daerlan a lesson in firing ranges; the Daerlan crossbows carried the heavier punch, but the Lyrian bow had the range. Garrick earned his nickname that day and was celebrated for his bravery and performance under pressure. When he returned home, his wife and young children welcomed him with open arms, having heard about his exploits. It turned out that news of his deeds had been spread by several travelling minstrels. Quickly he became the talk of Ashenvale, and he was invited to participate in the archery competition that accompanied a tournament being held in Kingsport. Against some of the best marksmen in the Verdant Kingdoms he managed to prevail and win the competition. This cemented him as a legend and a folk hero. He ended up staying in Kingsport to teach archery lessons to young nobles, and he ended up opening up a small shop together with his family, who had all moved to Kingsport too. Now his shop and home sit just outside of the Eastern Gate, with plenty of targets set up against the walls of the walls. He is a familiar and much loved individual who has converted his once brittle folk hero status into thriving business. Quality bows of different sizes and compositions, different types of strings, as well as differing types of arrows, arrowheads and fletchings are on offer. In the western-most district of the Northside ward sits the Kingsport Manège, a sprawling area where different businesses find their home. The most prominent is the auction house which specialises in riding animals, mostly horses. Sometimes beasts of burden and other live stock are put to auction from time to time, and on rare occasion some exotic ones, too. The lead auctioneer is a retired merchant called Fiona of Egremont, who made a fortune in trading Silesian stallions. She knows everyone at the Manège and rules it with an iron fist. Anyone who gets on her bad side is quickly disinvited from the next auction, missing up lucrative opportunities. She has a soft spot for small ranchers and farmers who come to the city because they need a sturdy ox or stallion, but she has no patience for entitled breeders who try to bully their way in an auction. She has a whiplash tongue and uses it to cut anyone down who dares to cross her line. There are several prominent Silesian horse breeders have an office at the Manège so that they can attend auctions as regularly as possible and keep their ear to the ground for good stock coming in and they make it a point to stay in Fiona’s good graces. While the Manège deals mostly in horses, on occasion it also auctions off beasts of burden and cattle. Because this isn’t Fiona’s specialty, she steps aside for other auctioneers but keeps a close eye on the proceedings and puts a stop to any dirty tricks being played in order to drive up the price or block people from being able to bid. On rare occasions the Manège will have exotic or fantastic animals up for sale, like olyphants, lions, griffons, unicorns and gorgons. Most unusual auctions are only open to invited parties, but these require a special invitation which is very hard to acquire. While these animals are also not Fiona’s specialty, she reasons that they are nobody’s specialty, so she leads those auctions. Here are a list of the different wards, their descriptions and some points of interest. Old town lies directly north of the palace on the slopes of Garamond Hill. It’s flanked to the south and west by the city and palace walls, to the north by the Street of Spices and to the east by Hill Street. Due to its location next to the Western Gate and its proximity to the docks, old town is a popular ward for foreigners to take up residency. Beauclairois, Cyprian and Càrcerian merchants mingle with courtiers who chose the ward in order to remain close to the palace. The ward is also known for the well maintained courtyards and gardens. The hill is a small and expensive ward where many noble houses keep a small manse for when they are called to court. The palace to the south, Hill Street to the west, the Street of Spices to the north and Palace Road to the east, the ward is known for its high number of crownsguard patrolling the streets. The houses here usually have more than one family living in them, resulting in a very tight-knit community. 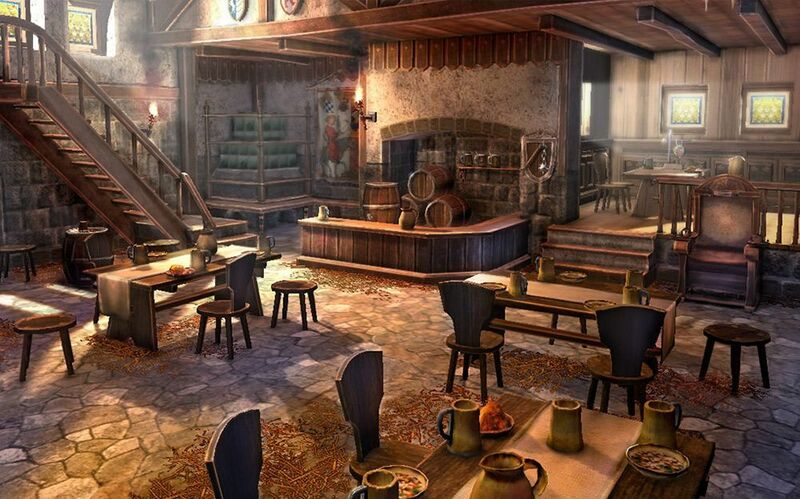 There are several taverns and inns that cater to the many sailors that come through the port, and as a result the water front can get quite rowdy. The ward doesn’t nearly get the same attention from the crownsguard as The Hill, but “salties”, as the people from The Salt call themselves, have their own way of dispensing justice, especially to those who overstep their boundaries. The Docks are flanked on three sides by water and on the remaining western side by The Salt. Some consider it the life blood of Kingsport as it is the most important commercial port in the Verdant Kingdoms. Most of the buildings here are used for storage, although there are several taverns and inns which get used by sailors and foreign merchants. There is a weighing house, a fish market, a port authority office where the port master adjudicates conflicts between captains and merchants, levies taxes and assigns docking spots. There are also a large number of shop fronts that sell specialised maritime goods, like salt, pickled and dried food, rope, sail cloth, tar and the like. The shops are small, but what is sold is always in bulk. Gondoliers can often be seen making their way up river in flat boats, picking up goods from warehouses further up-river. Dockhands, sailors, captains, merchants, fishermen, crownsguard and people looking to hire transportation, day or night, rain or shine, the docks are always busy. And then there are the ever present seagulls, squawking at each other as they fight over the refuse left behind by the fish market. 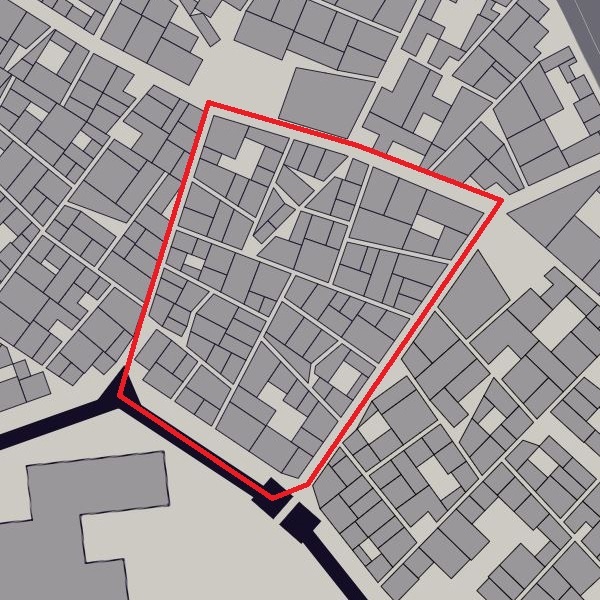 Just south of the river Lyn and north of the Street of Spices, to the east of the Western Gate, lay three distinctly different trade districts that are collectively known as the Southside ward. The western most district within the ward is dedicated to selling food and you will find grocers, fishmongers, bakers and butchers here. There are a few residencies, but mostly they are inhabited by the people working in the shops and stalls. Most of the building that sit on the river are used for storage and processors of meat and fish; salters and smokers process the meat and fish and bring it up or down river for trade. 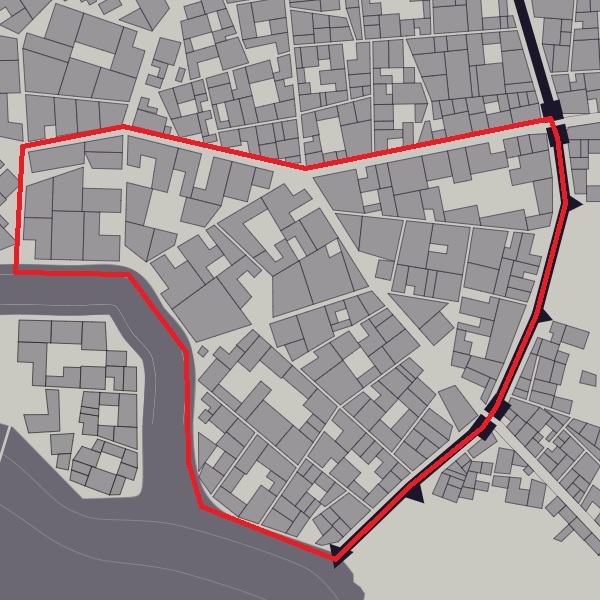 The central district in the Southside ward has been designated by the name of the narrow street that runs right down the middle of it, leading from the Street of Spices to the river; the Street of Steel. This district houses some of Kingsport’s finest metalworkers, blacksmiths, weapon smiths and armourers. There is a small square on the Street of Spices which is used to display the wares, since the district’s forges can run hot and are generally considered to be uncomfortable. 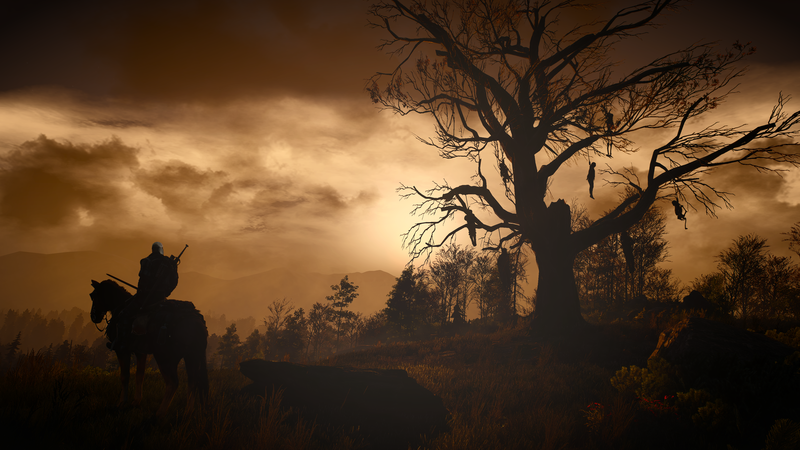 The smoke that rises up from the district has lead to some disputes with the surrounding wards and districts. The eastern most district, which also is the smallest district in the Southside ward, has the finest silk makers, dyers, tailors, weavers, spinners and clothes shops in Kingsport. Also the are several renowned cobblers, as well as rug and tapestry weavers in the city. Thread makers receive wool from the farms around Kingsport and silk gets imported from Càrceres for further production. North of the docks, straight across the river, lies Steward Square, a small but essential part of Kingsport. This is where the city houses it’s administrative building, from where the Steward of Kingsport adjudicates all matters that have need of the Queen’s attention, as well as passes judgement on criminal matters which transgress the authority of local magistrates. Public executions are performed and as such, there is a significant underground goal called the Kingsport Carceratum. Due to the large number of administrative buildings and the often wealthy people that do business there, the square has attracted a lot of pickpockets, beggars and vagabonds looking to steal, swindle and scam the less weary among the wealthy. The business became so lucrative that several gangs and thieves guilds started fighting over the territory. This attracted a lot of crownsguard attention, so the gangs and guilds have settled into an uneasy truce around the square. The square also houses temples and shrines to almost every major religion, the biggest being the church of Paladine, the shrine of Chauntea and the temple of Pholtus. The latter also acts as a place for the old, the sick and the infirm to go for treatment. 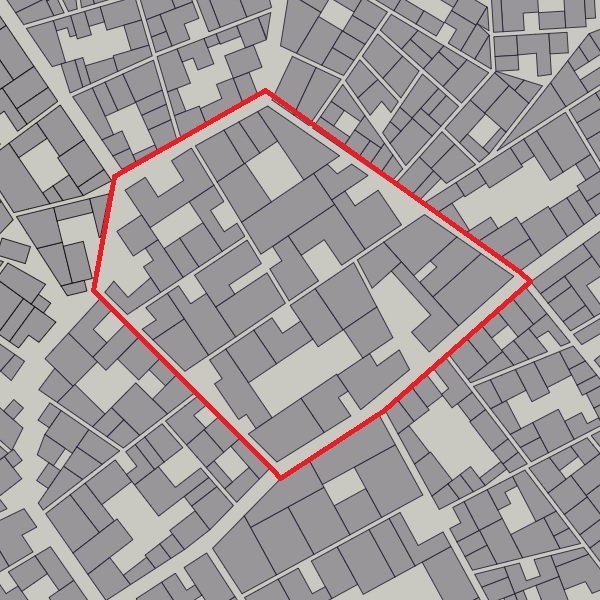 The square was renamed to Steward Square in 1246. Before that, it was called Independence Square, to commemorate the end of the Beauclairois occupation. 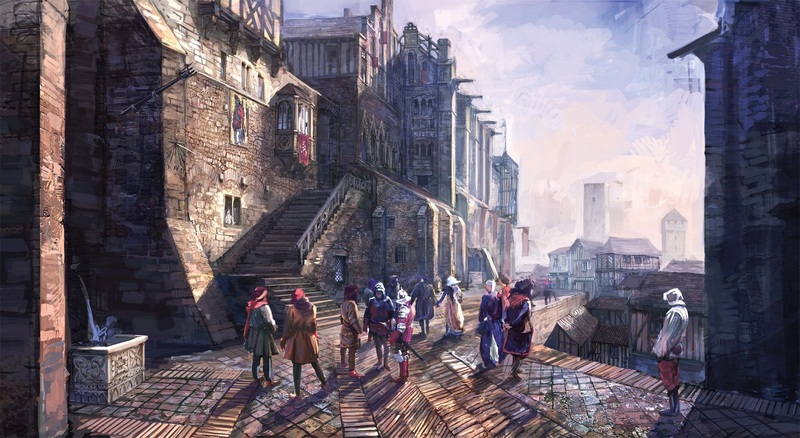 The reason given for the name change was to celebrate the great work the current and past stewards and stewardesses had done for the city, but it was widely understood to be a symbol of improving relations between Lyria and Beauclair. Many of Lyria’s patriotic citizens have yet to adopt the change, and will happily refer to the square as Independence Square. 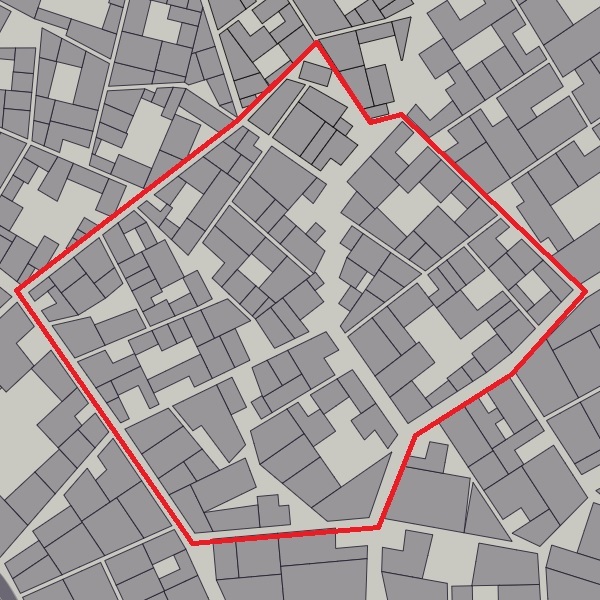 North of the Lyn, south of Tiverton street, which leads from the Brown Gate to Steward Square, there are three districts which together make up the Northside Ward. Much like its southern cousin, the three districts are very distinct in their own atmosphere and inhabitants, but have been placed together in a ward for political purposes. The eastern most district in Northside is Chiselton. A large saw mill has a prominent spot on the river, and around it there are several traps which allow for the collection of logs. The logs are processed in smaller portions, which are stored in one of the many courts that the district has. Woodworkers, woodcarvers, woodturners, wheelwrights, furniture craftsman, and carpenters are all found here. The woodworker’s guild has a very strong presence in this district. The central district in Northside is called The Lace. Hemmed in between Chiselton, The Briddle, Tiverton street and the river, The Lace is known for it’s small, winding streets, brothels and taverns. The buildings on the river are all in use as warehouses, much to the dismay of the district’s residents, who would much rather have seen them turned into residences. Now many of the people working the taverns or brothels have to travel from other wards to come to work. Especially the women have become the target of harassment in other parts of the city as they come to and from work. 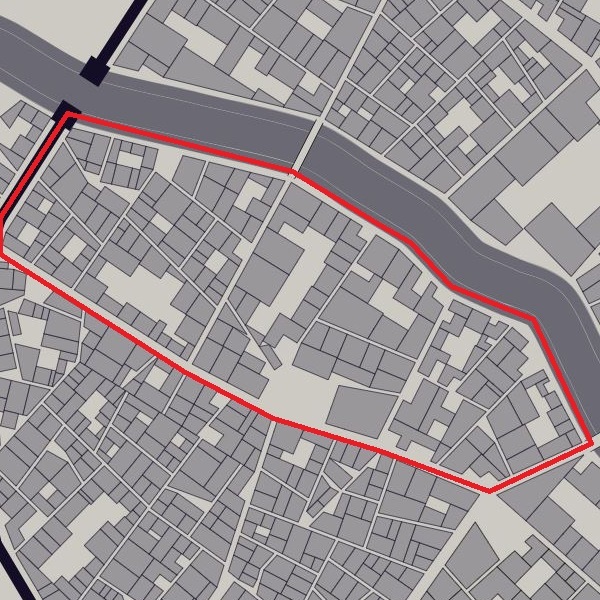 The Bridle is the western district of the Northside Ward and is known for its manège and bustling market where Silesian horses are bred and sold at auction. Other animals are sometimes bought and sold there as well, mostly livestock and sometimes more exotic animals, but this is unusual. Politically, the ward is going through an interesting time; Madam Brécourt, the owner the Silver Cross tavern, is considering running for the alderman elections. Traditionally, the alderman has come from Chiselton, backed by the stakeholders behind the Bridle auction house. If Madam Brécourt can mobilise the Lace, she might stand a very real chance of winning the election. Even though political and trade relations being very warm with Càrceres, Lyrians still have a natural suspicion towards their swarthy, southern neighbours. Culturally, they feel more kinship towards the Beauclairois, despite having as tumultuous a history with them as the Càrcerians. As such, Kingsport has designated La Costa Verde as the only ward they are allowed to settle in. Several exceptions have been made for diplomatic envoys and Càrcerian nobility, but anyone without the necessary clout who wants to settle gets settled in La Costa Verde. The houses here are quite expensive, and artificially kept that way in order to dissuade Càrcerians from settling down. The ward is known for having several beautiful gardens. The settled Càrcerians tried to make the best of a bad situation when they settled and made use of the fertile soil to start cheering up their neighbourhood with flowers and plants. There are several rooftop and balcony gardens which are also a sight to behold. As a result, the ward is also sometimes called the Ward of Flowers. Politically, the ward has very little influence. Càrcerians, or native Càrcerians are not allowed to vote for their alderman, and as such, the aldermanship is nearly dormant, going from one landlord to the next without much interest being paid to it. Lewisham is the poorest and most populated ward in Kingsport. The houses are old, crooked and often not particularly safe to inhabit. 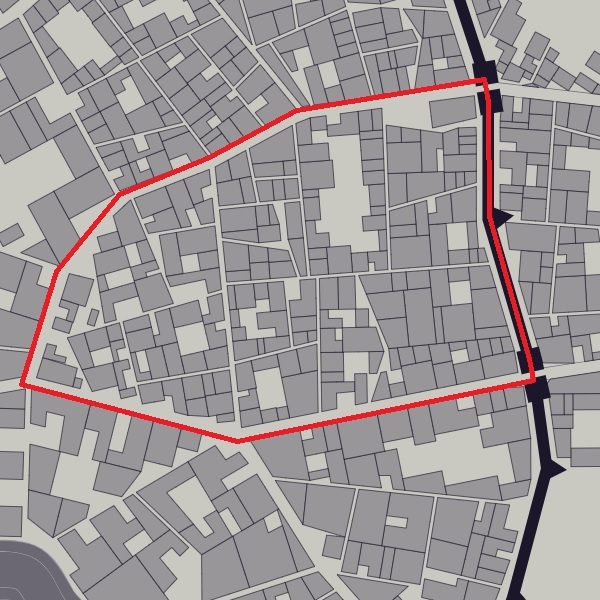 That said, this centrally located ward is considered to be a must-see for any traveller to the capital due to its maze-like streets, friendly and welcoming populace and its music, which gets played on its streets as well as in its taverns. If Steward’s Square and the docks represent the heart of Kingsport, then Lewisham represents its soul. Many Lyrians who decide to make a life for themselves in the capital end up settling here. They either do it for the cheap lodging or because of an overly romanticised idea of what it is to live in Kingsport. They are tolerated by the locals until they’ve lived there for a while and have started to adopt the distinct Lewisham accent that is popular among people trying hard to seem authentic. 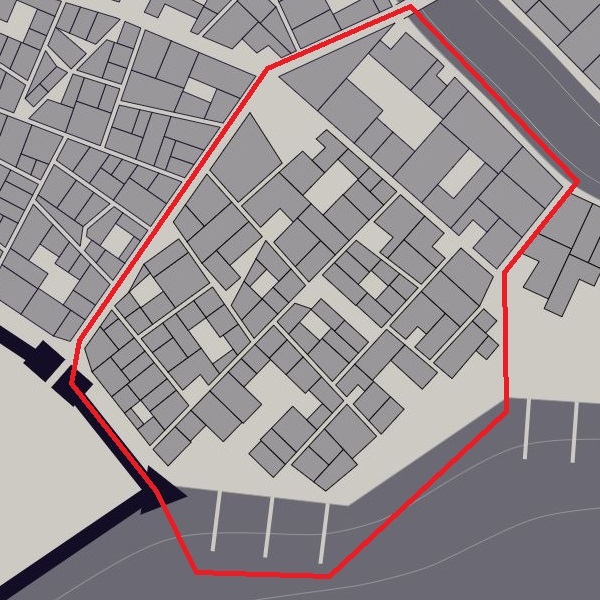 Many of the gangs and thieves’ guild have a strong presence in Lewisham, mostly because of the unspoken code of conduct among its populace to settle matters internally and not call in the crownsguard to settle a dispute. Some of the well-known underworld hard men are celebrated figures in the district, none more so than the Guv’nor, a hard-nosed brawler who spends most of his time at the Hoxton, an inn which is considered neutral territory amongst the thieves’ guilds and a regular place where meetings are held. The Guv’nor is a title rather than a nickname for a person and every Guv’nor is expected to keep the peace in Lewisham and facilitate the possibility for the thieves’ guilds to work out their differences. Every year a bare knuckle boxing tournament is held where the grand prize is the right to challenge the standing Guv’nor for his title and the deed to the Hoxton. The current Guv’nor is a much loved man by the name of Lenny, who used to be a grafter out of the eastern part of Kingsport. He’s held on to the title for over a decade, which makes him a legend in Kingsport. 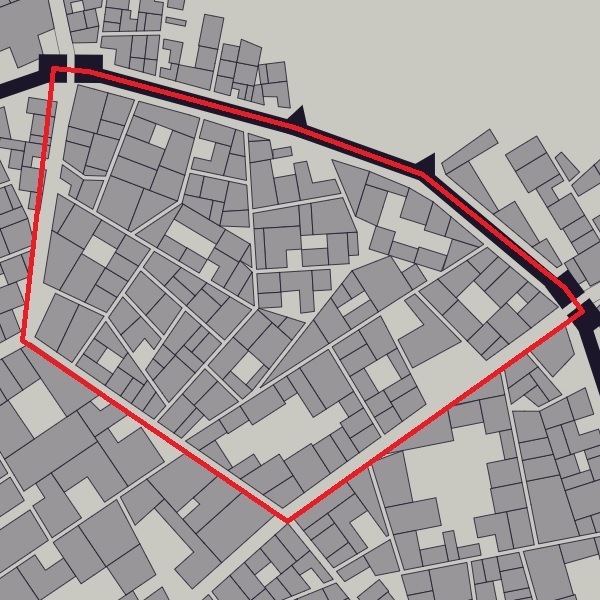 Tiverton Street to the west, Steward’s Square and Elysian Street to the south, with the Serrated Street running right through the heart of it, the other boundaries of Lewisham can be hard to define and can shift regularly. 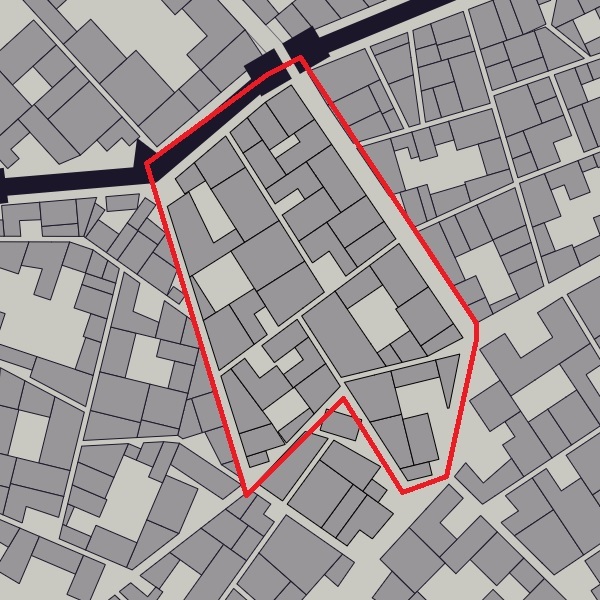 The northern ward of Correntine, hemmed in between the city walls to the north, La Costa Verda to the west, Lewisham to the south and the wide Corbray Street to the east, is an unusual ward. Where most of the buildings around the different wards in Kingsport have timber frames, Correntine is one of the two wards where the buildings are mostly made of thick stone masonry. They are tightly built together out of the same stone that the older parts of the city walls are made of. 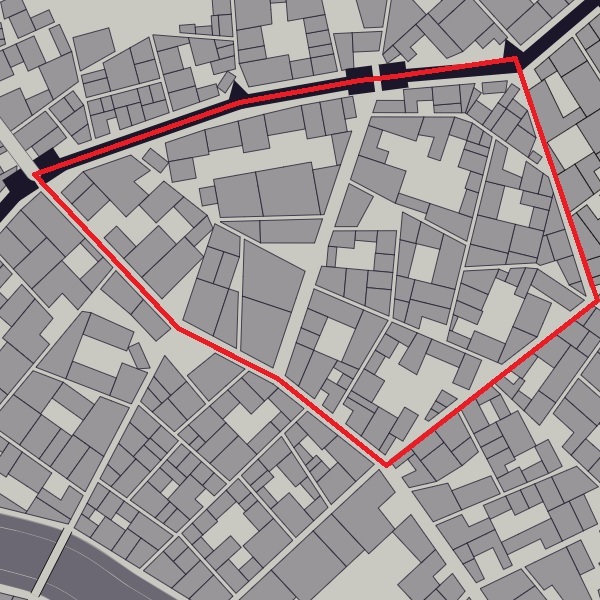 Most of the streets are often empty and desolate, and few people know anyone that lives in the ward. There are no crownsguards patrolling the streets; instead, there are Lyrian knights who keep watch. Behind thick walls the Lyrian knights educate recruits and receive foreign dignitaries. On the southern end of the ward, overlooking the Serrated Street, is a large, oddly shaped tower that stands well over three times the height of most surrounding buildings. Nobody knows the purpose it serves, but it seems to have been inactive for so long that nobody really things about it much. Occasionally, a contingent of Lyrian knights enter the city through the Corbray Gate. It draws a lot of attention, but the host quickly disappears behind the thick wooden gates in the Correntine ward while a small group breaks off to report to the palace. The Sevenoaks ward is a mostly residential are with a few small shops. It’s situated between the city walls to the north, between Corbray Gate and North Gate, Corbray Street to the west, Northstreet to the east and Wickenham Street to the south. Most of the people that live in the ward are simple, hard working folks. Wickenham Street is a well known place for chandlers, wax traders. The narrow street that runs up from Wickenham Street to the city walls has a lot of book binding and pamphlet printers. And in the norther-eastern part of Sevenoaks is the home of the College of Bards. The College of Bards run by the legendary bard Le Papillon himself. Le Papillon, real name Adrien de Rouleau, is a Beauclairois musician, poet and playwright who impressed and moved Queen Isabella so deeply that he became the court minstrel for years, before opening up a school in Sevenoaks. The price of admission is steep, but the curriculum and the teachers are sanségal. The ward of Ravensbourne, like Correntine, are mostly constructed of high quality masonry. The ward is likely to be the smallest ward in Kingsport in terms of population, and this is because made up of five large, multi-building, gated estates. House Courtenay, house Bromley and of course house Ravensbourne after which the ward is named, each have an estate here. The remaining two estates are occupied by the Circle of Mages and the embassy to the Daerlan empire. 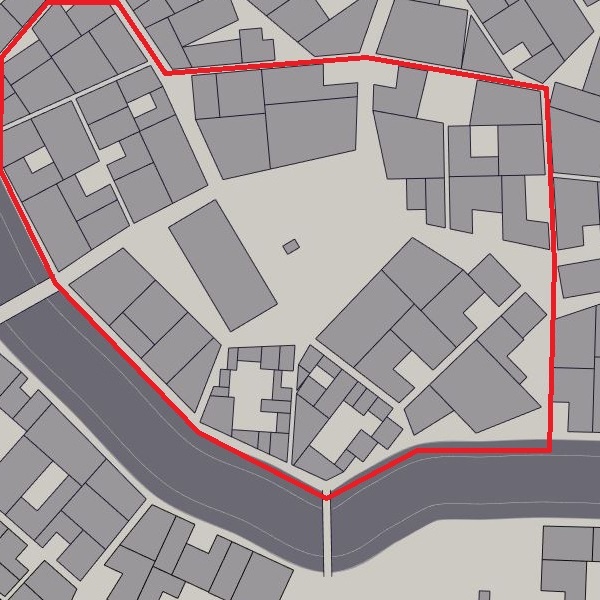 All the way inside the north-eastern city wall, between the North and the Elysian Gate, Grimsdown is a large, well-populated ward, full of houses, shops and crafter’s quarters. It’s likely the most well rounded and least remarkable ward in Kingsport. The only thing that stands out is that it has a rather large falconry set up in the shadow of the Bastion of Restraint. The falconers are allowed to take their birds of prey up onto the top of the Bastion and train them from there when they are ready to fly free. The eastern ward of Bremerton is known to house the crownsguard barracks, armaments depot, and training grounds. As a result, it also houses a lot of the crownsguards’ families and it has a lot of supporting inhabitants, like cobblers, blacksmiths, armourers, and the like. The ward is a popular place for middle class people to settle, since it is considered one of the safest places to live and raise a family, due to the large number of crownsguard living in the area. 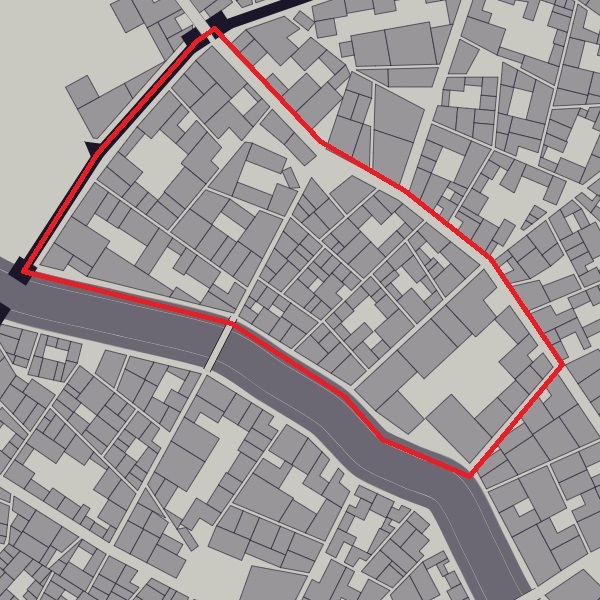 It runs along the eastern ramparts of the city wall, between the Elysian Gate and the Old Gate, both to the east. 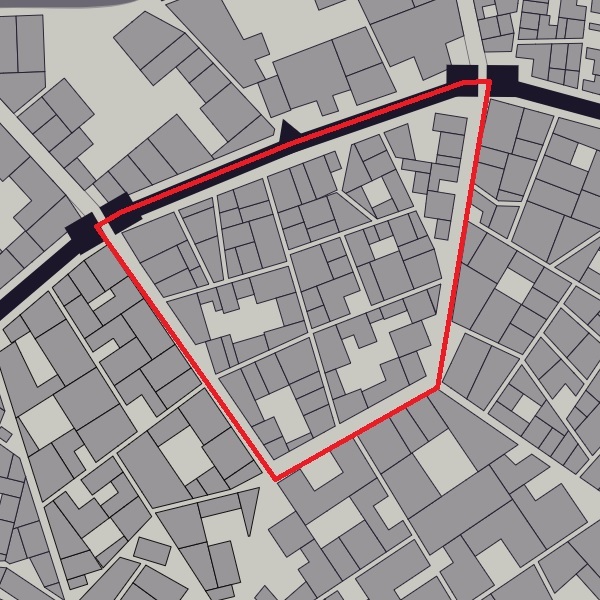 To the north, the entire ward is bordered by the Elysian Street, which allows the crownsguard to quickly deploy deep into the heart of Kingsport. To the south, the Street of King Augustine divides Bremerton from Eastminster. The ward of Blackheath borders Bremerton to the west. For the longest time the ward of Blackheath’s status as a city park was sacrosanct under the rule of Queen Marianne of House Valois. When she passed away, a bronze statue of her likeness was revealed as part of the coronation ceremony of her son Augustine. The farewell given to her and the celebration of the newly crowned king was a lavish affair, all held in Blackheath. In order to accommodate such a grand celebration, many parts of Blackheath were “temporarily” turned into buildings. Once the celebrations had passed, many of those buildings became permanent, and the newly crowned king was petitioned by very wealthy and influential aristocrats for the right to build an estate in Blackheath. Unwilling to completely ignore his dearly departed mother’s wishes, he declared that part of Blackheath was open to for development, while a significant portion should be set aside for the royal botanical gardens. Plants and flowers from all over the kingdom were retrieved and displayed in an impressive fashion, while the rest of Blackheath was left to be developed by whoever was willing to pay the most for the privilege. Until today, the botanical gardens are open to the public and are maintained from the palatial coffers. It is still considered a marvel to behold, but the elderly remember a time where the park was larger and unspoiled. It is said that Queen Isabella has inherited the spirit of a her grandmother, and there have been rumours that she might try and reclaim some of the buildings and estates to restore Blackheath to its former size. The most eastern district of Kingsport is Eastminster, best known for its large monastery devoted to Paladine. Situated between the Old Gate and the Eastern Gate along the city walls, in the valley just north of Quayhill and south of Bremerton. The entrance to the large, fortified monastery is located along the Street of King Augustine and serves as a public shrine to Paladine’s many legendary champions. Pilgrims come from all over the Verdant Kingdoms to see the tomb of Saint Catherine of Dunagore, the first chaplain of the Order of the Shield, who gave her life to save Sir William Garamond, leader of the Knights of the Silver Crusade, before he was crowned King of Lyria, at the battle for Blue Harbour. Quayhill, pronounced “key hill”, is the south-eastern most ward of Kingsport. Nestled between the ramparts of the city wall, touching both the Eastern Gate and the Salt Gate, the shores of the Lyrian gulf, as well as long the bank of the river Lyn, it is the site of several well known boat yards and dry docks along the river. The square behind the Salt Gate is the highest point on Quayhill, and its decent to the river is rapid, leading to a terraced layout of the ward. The Salt road, starting at the Salt Gate, has 98 steps, divided in seven groups of 14 steps each. The southern most tip of the ward is held by the Bastion of Illumination, which is the last bastion to make up the ramparts, standing nearly as high as Garamond Hill on the opposite side of Kingsport. It acts as a powerful lighthouse and houses several powerful Scorpion ballistae.